Find respite from Los Angeles’ infamous traffic with a 30-minute airplane tour over some of the city’s most popular attractions and landscapes. Enjoy an aerial sightseeing adventure soaring above the Hollywood Sign and downtown LA. Fly over valleys and hills, wealthy suburbs, lakes and reservoirs, skyscrapers, sports venues, movie studios and more. With a maximum of three passengers per plane, this narrated experience is an intimate and exclusive way to see the best of LA. Check in for your flightseeing tour at Van Nuys Airport, and relax with provided beverages and snacks before it’s time to take off in your 3-passenger airplane with narration provided by a professional pilot. Enjoy incredible views of Los Angeles’ iconic landmarks. Departing the airport, fly southeast over Highway 101 toward Universal Studios. Enjoy views of San Fernando Valley, and look down on Griffith Park and the NBC Universal building before continuing through Cahuenga Pass. Admire the LA River and the skyline of downtown LA as you make your way to the Hollywood Sign. 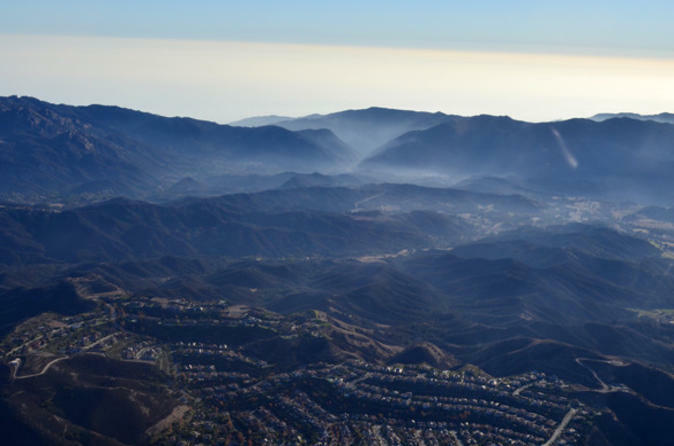 Your pilot will circle, allowing you to snap photos and marvel at the up-close views of the famous sign, as well as Griffith Observatory, Hollywood Reservoir and Hollywood Bowl. Then head toward downtown to see Dodger Stadium and the Staples Center before flying over Sherman Oaks to return to the airport, where your tour ends.